I had the opportunity to guest on the United Nations of Horror Podcast last week. Our topic of dicsussion? Aw yeah. 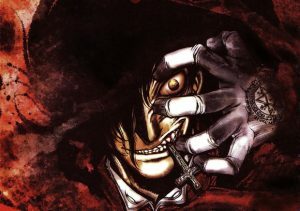 We’re talking Hellsing. Click here if you want to listen. Lucard and LunaMyst were fantastic with which to speak. A good time was had by all, and a deep thank-you to them for having me on.